(Skipped the part about fashion) Q: I’m curious to know what else than vintage interests you these days. What is it if there’s anything that shocked you like hammering your head? Key: Beyonce’s music video for ‘Best Thing I Never Had’ in which she has a wedding in lingerie. Why is she so pretty? It made me almost angry because she is so pretty. 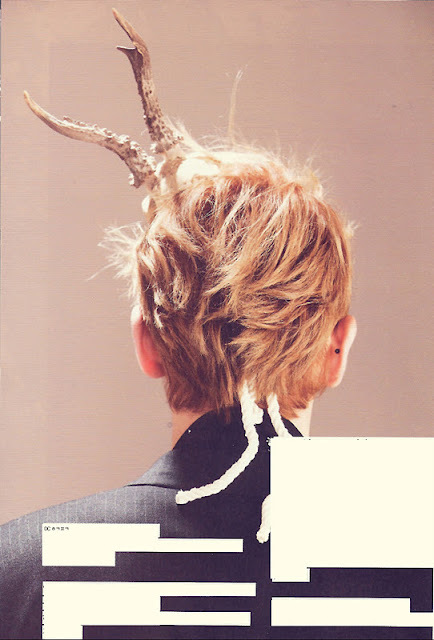 Key: Watching it, I said, “How come? How can she be so in such a situation?” I get angry when someone else beats me to it when I’m thinking of doing what I want to try. Q: You don’t mean trying lingerie? Key: Ah, no, not that one. With Beyonce, we have this powerful image of her. It’s amazing to see that people like the calm music video the singer with such an image made for her quiet song as much as her energetic performances on stage. It means she gives off the same amount of energy in performing calm songs. I’d like to be like that. Supposing people are 100 % satisfied when you dance, I think they are 80% satisfied with slow songs. I was wondering how to reduce the difference, but Beyonce did it! If she doesn’t care and doesn’t feel shy in lingerie, it is nothing to be ashamed of. Who would have imagined her doing a wedding in lingerie for such a slow song? Q: What do you think is the most important among virtues idols should have? Key: To know well about oneself. What I can do well and what I can’t, and what people think of me. One can grow faster by knowing these. I try to see myself more objectively. Q: How can you do it? Everyone tends to think well of oneself. Key: You can do it by letting other people tell freely about what they think of you. For instance, people may not tell it concerned if it might hurt me. I brainwash our staff saying I won’t get hurt and they should tell me if I went in a wrong direction. I don’t get hurt when I hear those things. Q: Because you are cool? Q: Do you have someone who you can trust most will tell you frankly without trying to be nice to you? Key: No one special. I told people around me to tell me so. haha. For example, your hair and makeup look different on stage and off stage. They should tell me frankly. Q: How has it changed you to hear frank comments? Key: People say I’ve become gentler. Q: You were not like that before? 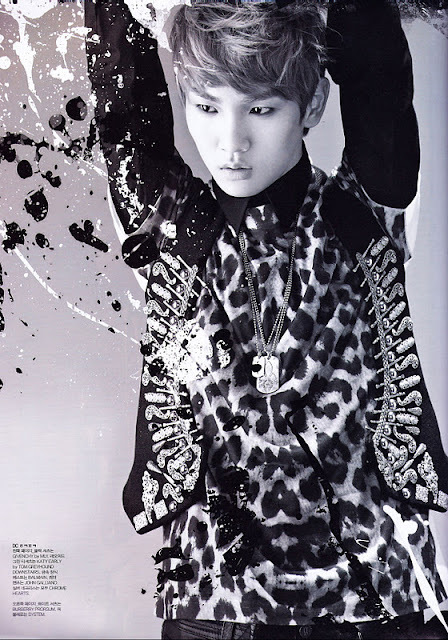 Key: When I didn’t like something, I used to tell people, “I don’t like it,” without any other considerations before. But now I say the same thing in a way not to embarrass them, like a joke. I used to be the type of person that couldn’t bear what I don’t like and had to say it right on the spot, but have tried to change myself after hearing it’s too severe. These days fans say that I look like I’ve forgotten how to get angry. Q: What was it that you couldn’t put up with most? Q: You stress wits and sense at every interview. Do you think you have them yourself? Key: haha, I try to. I don’t know well about sense, but I think I’m quick at knowing how winds blow. Q: You said you try to see yourself objectively. Then what are your strong and weak points as a singer and dancer on stage? 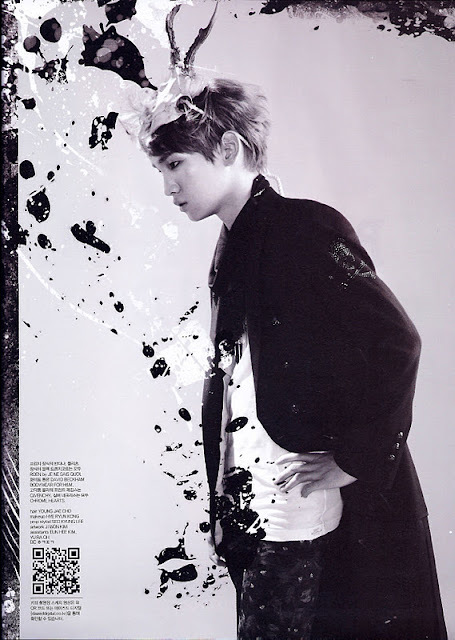 Key: My best and worst point is that what is my own is too clear. What I can do well and what I can’t are clear. I can do well a certain kind of music and can sing well a certain kind of songs. The gap between what I can do well and what I can’t is not just some but too big. For example, I’m not good at ballad songs. Q: Uk, something of it doesn’t match you. 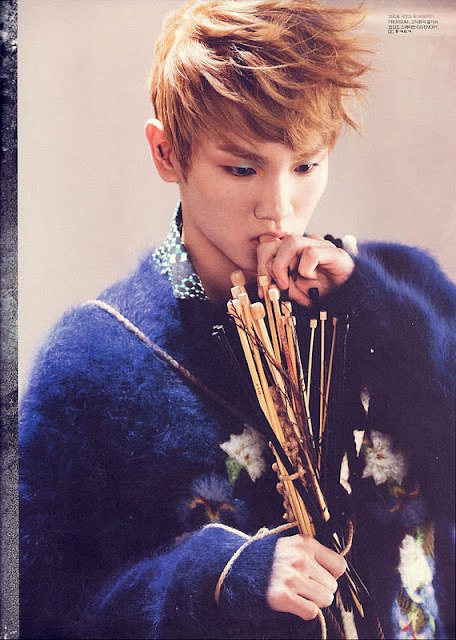 Key: I can’t sing such songs that say ‘I love you.’ But I have to sing them. Q: You don’t seem to think you want to do everything well. Key: I don’t mind doing only what I like to, but I belong to a group. I don’t think I want to do it well, but I think I shouldn’t do harm (to the group). Q: ‘Real,’ ‘Up&Down,’ and ‘Electric Heart’ are you favorite SHINee songs. You seem to have the sense to catch stylish songs. Don’t you? Key: Something like this. To take a girl group for example, there is a member who gets the most attention and is loved by everyone. That member is pretty, but I like this member more, something like that. People who speak the same language with me like the same things with me. We like the same music style and even the same restaurants. Q: Isn’t it you are only seeing those kinds of friends? 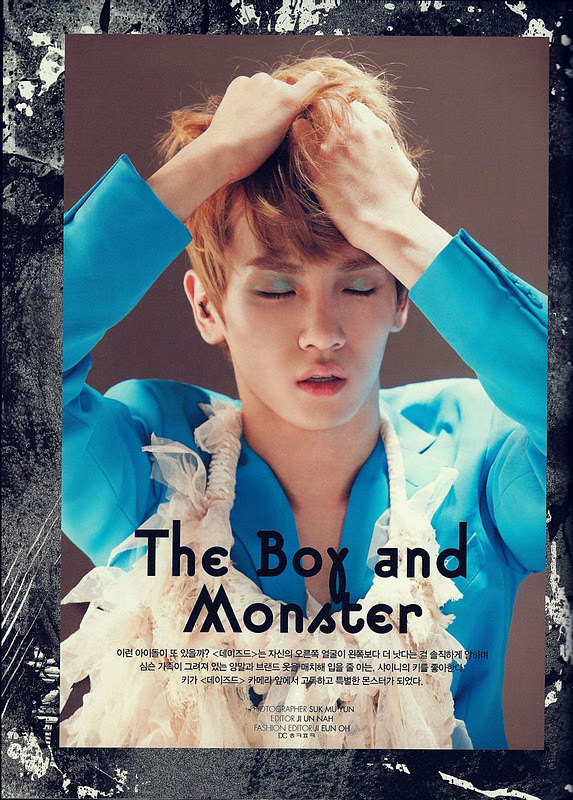 Key: My interest seems to be different from that of boys of my age. Q: You didn’t know what offside means. Key: I can’t talk about soccer and don’t know well about sports. And my type of girl is different too. Q: Who is your type of girl? Q: Trusting your sense, I’ll ask this. What do you think SHINee needs now? Key: Not to be impatient. I think we should do what we can’t do later, what fits us the most now, without considering popularity or money. To do what we can do later and to become more popular, what use is there? It is the most important now to not look awkward. Q: Do you mean you should do what you can enjoy at your age? Key: Yes. For example, if you try to look like a grown-up and manly when you look young to anyone, people don’t think you are manly but rather finds you cute. So it’s better to go naturally. Q: When you try something else than music, people may think well or ill of it as a penalty of your fame. What do you think of such a prejudicial view? Q: I heard you make a promise with yourself every week, like, to read books or to eat less fast food. What is your promise for this week? Q: What is your promise for next week? 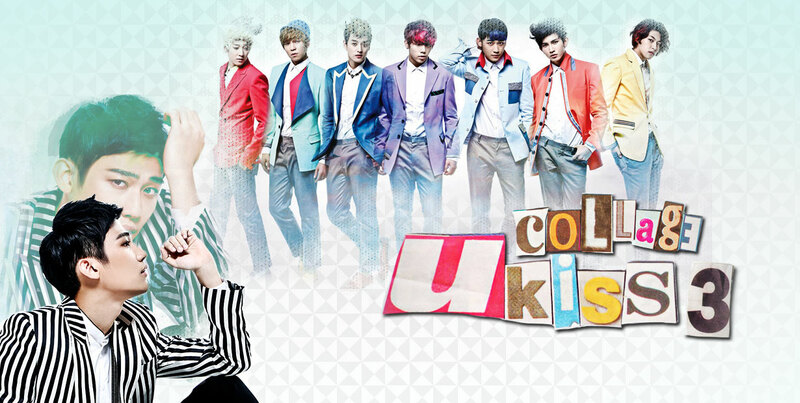 Key: To make myself busy next week. I get anxious if I’m not busy. I feel uncomfortable while I idle away. Q: Your last interview with Dazed was two years ago. Do you recall it? Do you still think same way? Key: Yes, I remember it all. I have very good memory. I still don’t like releasing a single rather than a regular album, and I have the same ideas as before. Q: Then, why did you say during makeup, “I should do plastic surgery for this”? Didn’t you say you like your face even though it’s not a handsome one? 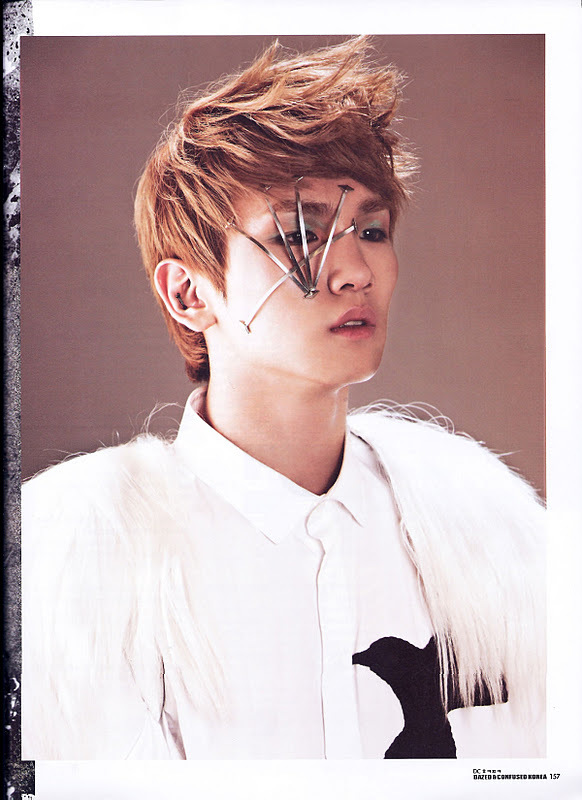 Key: I like my facial weaknesses. I have no discontents with what I can’t change. It was just a whining, a joke. I like myself very much. Q: We are Dazed & Confused, so I’ll ask this. What is it if there’s anything that confuse you these days? Key: Whether I am an adult or not. darn it. kaya is the win Attitude girl with a capital A. means that he also likes promiscuous naughty grrlz? HA.